A Review of "The Dorchester Review"
Should An Icon Be Veiled? The phone rang last week, and it was a man upset about the music in his parish. I listened patiently but I already knew what he was going to say. I’ve heard it all a thousand times before. The music seems unCatholic. It has nothing to do with the season or the day. The performers are self indulgent. It’s too loud and pop sounding. And is the hymn (fill in the blank) really permitted? Then the question came that I’ve learned to dread: what book can I give to the pastor and the musician to help them better discern what is appropriate for the Mass? I know it sounds crazy but there has not been a single work that really mapped out -- historically, theologically, musically, and practically -- the musical framework of the Roman Rite. There are great books on theology and history. There are several books of journalism and witty commentary on the state of Catholic music. There are much older books explaining rubrics. But, if you think about it, there is no a single book that integrates it all, rises above it all to provide new insight, and gives a viable plan going forward that is rooted in the ritual structure, the traditions, and the legislation of the Catholic faith. Now, at last, I can say that such a book exists. It is called The Musical Shape of the Liturgy. It is published by the Church Music Association of America. It will appear in print next month. Right now you can buy it on Kindle. The author is William Mahrt, and, I can tell you, that he is the only person in the world who could have written a book like this. In addition to being the president of the Church Music Association of America, he is a professor of music at Stanford University. He is old enough to remember the change in the Mass from old to new. He was directing a parish choir the entire time, and this was in addition to his academic duties. He was researching old manuscripts and writing scholarly papers presented at academic forums. This combination of duties led him to develop something unique: a mind that lives and thinks in the two and usually separate worlds of academia and parish life. His research is heavily informed by practical concerns. And his practical concerns are heavily informed by his historical, theological, and musical interests. It all flows together in this mind that has the patience to do over a lifetime what no one else has done. 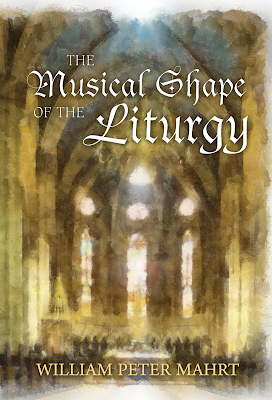 The Musical Shape of the Liturgy is the first general treatise on music in the Roman Rite, one that can inform audiences of all types, whether parish musicians, academics, or Church officials. In some ways, this book is the culmination of a lifetime of experience. No, it wasn’t written all at once. Many chapters have appeared in other places. But when you look at the sequence of chapters, one is amazed at how they form a beautiful whole. How can I summarize the thesis? Mahrt’s book demonstrates that the Roman Rite is not only a ritual text of words. It is a complete liturgical experience that embeds within it a precise body of music that is absolutely integral to the rite itself. This integration is not only stylistic (though style does matter). The music is structured to provide a higher-level elucidation of the themes of the Mass ritual itself. In other words, the music at Mass is not arbitrary. It is wedded to the rite as completely as the prayers, rubrics, and the liturgical calendar itself. Everything in the traditional music books has a liturgical purpose. When they are neglected or ignored, the rite is truncated and the experience reduced in potential to reveal and inspire. These claims will amount to a total revelation to most all Catholic musicians working today, most of whom are under the impression that it is merely a matter of personal judgement whether this or that is played or sung. As Mahrt points out again and again, genuine Catholic music for Mass is bound by an ideal embodied in the chant tradition. This tradition is far more rich, varied, and artistically sophisticated that is normally supposed. More importantly, it is the music that is proper to the Roman Rite. The opening section of the book, then, provides a four-part course in the musical structure of the liturgy. Here we discover the origin, history, and liturgical purpose of the ordinary chants. We discover the propers of the Mass and their meaning, and why they cannot be replaced by something with a completely different text and music without impoverishing the liturgy. We find out that the Roman Rite is really a sung ritual with parts for the celebrant, the schola, and the people. Everything has a place, purpose, rationale. It’s all part of a prayer. Even the tones for the readings are structured to signal themes and fit into an overall aesthetic and spiritual tableau. The second section explores the particulars with detailed commentary on chants and their meaning. He covers entrance chants, offertory, communions, Psalms, alleluias, and sequences. Mahrt helps the reader understand their intricate structure and theological meanings, and provides a commentary that only a musicologist on his level can provide. The reader begins to appreciate the extent to which chant is far more profound than is usually supposed. Further commentaries reflect on the polyphonic tradition that became part of the ritual experience of Mass in the middle ages. He explains how this music is an elaboration on the chant tradition and why it is included by the Church as part of the treasury. He writes on all the great composers of this period from Josquin to William Byrd. He moves on to cover the issue and question of the Viennese classical Masses, explaining why they continue to be appropriate for liturgy despite their apparent stylistic departure from the pure chant tradition. He covers the use of organ in Mass as well. The third section turns to the specifics of putting all of this into practice in the contemporary world. He deals with English chant, offers specific commentaries on the case for “praise music,” investigates the meaning of inculturation and musical taste, and tackles pressing problems such as what to do when a parish has no budget and no singers. This section is the one that is of the highest practical value for pastors and musicians today, so much so that it would be tempting to read it apart from the rest. I think this would be a mistake. What is missing most from today’s Catholic world is the awareness of the the musical shape of the liturgy - that essential structure of what is supposed to take place in the Roman ritual itself. When this manuscript was sent around prior to publication, there were widespread sighs of relief from everyone from parish musicians to Church officials. Finally. Finally! Finally we have the book that has been missing in all the literature on the liturgy. 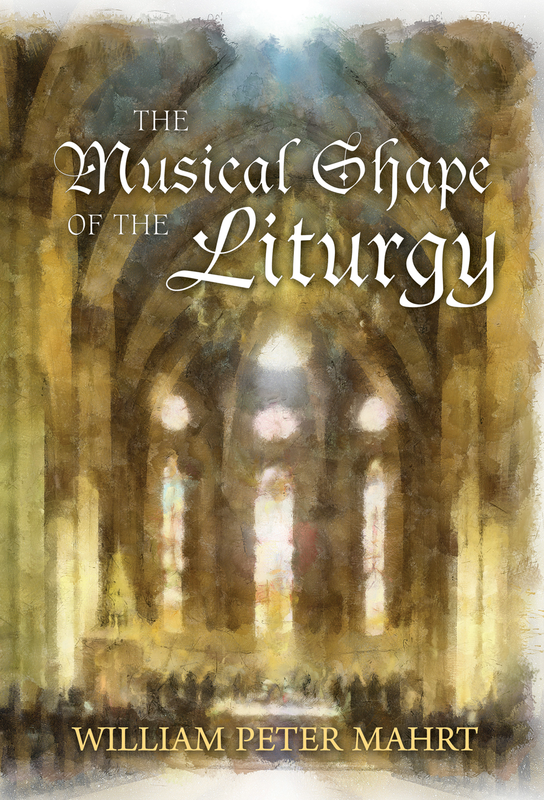 This is the book that fills that gigantic hole, the one that provides that insight into the liturgy that only a musician can provide and also elucidates the purpose and structure of the music itself. In addition, it provides a path forward. This is the book that millions wish they could have read and thousands wish they could have written. It is finally here. I can see that this book will become a classic and will continue to be so long after this generation leaves this earth. It will resonate for decades and even centuries into the future. Congratuations to William Mahrt. Thank you for this gift to the Church. These words will be repeated by many people long into the future.